The most celebrated novelist of all time, the author of Anna Karenina and War and Peace, retells "the greatest story ever told," integrating the four Gospels into a single twelve-chapter narrative of the life of Jesus. 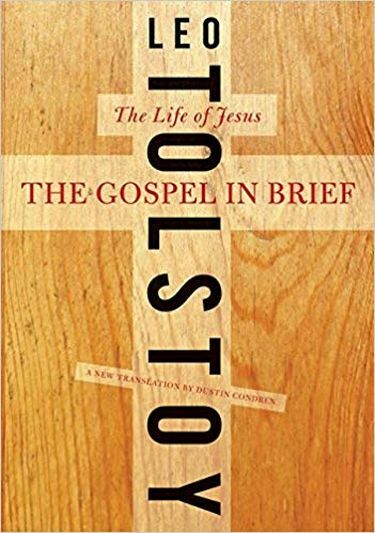 Based on his study of early Christian texts, Leo Tolstoy's remarkable The Gospel in Brief—virtually unknown to English readers until this landmark new translation by Dustin Condren—makes accessible the powerful, mystical truth of Jesus's spiritual teaching, stripped of artificial church doctrine. "If you are not acquainted with The Gospel in Brief," wrote the philosopher Ludwig Wittgenstein, whose life was profoundly influenced by it, "then you cannot imagine what an effect it can have upon a person."